Ayie says that Lok Baintan Floating Market is a traditional floating market which is located in the village of Pinang River (Lok Baintan), Tabuk River district, Banjar. Floating market activity begins at 07.00 pm until 10:00 pm. they sell various merchandise, such as vegetables, fruits, traditional cakes, and others. What is interesting is a system of exchange of goods. 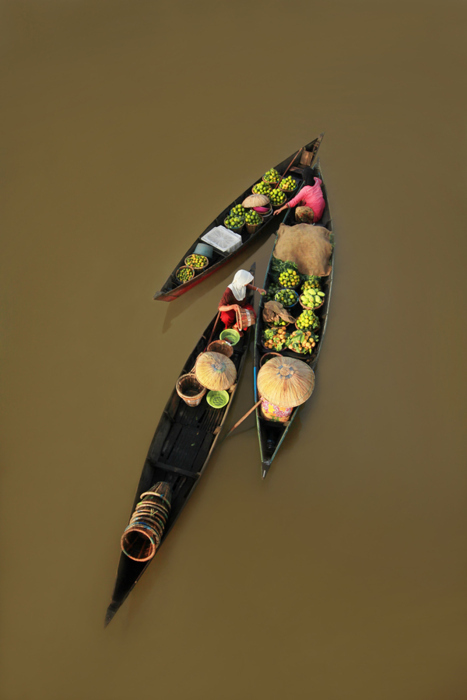 The floating market does not make money as a major transaction, because the sellers and buyers in the floating markets are still applying the barter system.